What do you know about Big Data besides being a techie buzzword? Turns out it doesn’t just influence the way we buy online or watch movies – it is impacting the way we learn, train, and educate others. 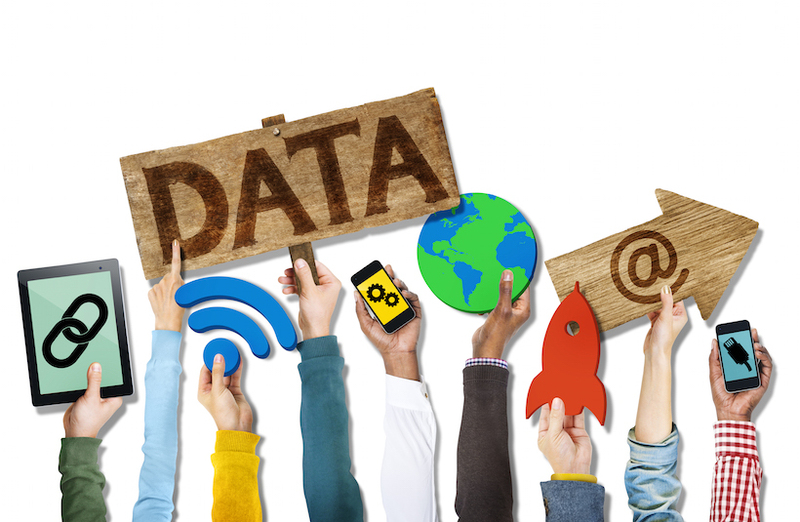 Read this article to learn about the impact of Big Data on education and corporate training. We hear a lot about Big Data these days – especially those of us in the tech industry. For some of us, it conjures the idea that “big brother” keeping a watchful eye on society. Others see Big Data as huge breakthrough potential and an indispensable part of societal progress and innovation. Whatever your feelings are on Big Data, it is still remarkable to witness how quickly this new form of predictive analysis has taken hold on the way people learn and companies do business. In this article, we will take a look at the impact of Big Data and how it is changing everything. According to research conducted by McKinsey’s Global Institute in 2011, Big Data was forecasted to usher in fundamental changes to competition, innovation, and productivity. Take online shopping, for example. Every time someone visits Amazon.com, their computers are used to capture and curate browsing and purchasing data. That data is part of a collection of information that is analyzed to detect patterns and trends – after which, targeted advertising can be used to recommend relevant products. Similarly, Netflix collects your browsing patterns in order to recommend TV and movie programs that are most likely to appeal to you. It’s also what keeps you inside binge-watching movies instead of getting out for a jog – which is, of course, another enormous subject in and of itself. When it comes to education, Big Data is heralded as a significant game changer in academic performance. Knewton, a learning company, is helping pioneer the way. The company recently raised $157 million dollars to build an adaptive learning system that predicts and recommends customized learning paths and for students across subjects and grade levels. However, a number of roadblocks are preventing the widespread adoption of these kinds of solutions. Parents and teachers have voiced concern about student privacy and fear that the data could be misused or even sold. Other hurdles include the complicated process of implementation and working within tight budgets. Unlike systems that recommend products to buy or movies to watch, one that recommends what to learn next is much more complex. While a student’s course progress can be monitored, other offline activities such as classroom discussions or independently done homework, are more difficult to collect. Without that data, it is hard to make truly accurate recommendations for what students should learn next. While Big Data has the potential to improve academic performance, machine learning needs more refining in order to provide a truly personal learning path for every student. I can foresee Big Data being adopted quicker in the corporate training industry, however. Unlike the education sector, companies don’t share the same privacy concerns because they own their employee’s training data. And if Big Data in corporate training leads to a boost net earnings, companies will be more inclined to implement the technology. Corporate training has traditionally been considered a cost center and delegated to HR departments. However, with high turnover costs and competition for good workers, executives are starting to see that training has a direct impact on the company’s bottom line. By integrating Big Data, companies can be empowered to collect more data and generate a set of metrics to directly measure how better training can improve business performance. Through working with one of my customers, I’ve had a chance to meet Market Force, a company that demonstrates how customer surveys can be used to improve overall business performance. I believe something similar could be achieved by looking at employee training data. Big Data can also provide the instant feedback necessary to adjust corporate training to be more effective. Having access to data related employee training performance makes it easier to recommend the rights courses for skill gaps. On top of that, businesses can use the same data to figure out where the company needs improvement so that the right investments can be made to improve overall business metrics. Apart from the enormous splash Big Data has made on commercialization scene, I believe leveraging this predictive analysis can help our education system effectively instruct and direct a new generation of students. However, because of the hurdles that have yet to be cleared -as related to student privacy, complex implementation, and tight budgets-, it has a ways to go. We are more likely to see Big Data make an impact in corporate training and business performance sooner.